Trees Knoxville is working with the City of Knoxville Urban Forestry Division and the Knoxville Botanical Garden and Arboretum to develop a data base and mapping project to include existing historic and champion trees of Knox County. The TreeKeeper map can be found here. Approximately a dozen notable trees are mapped as "purple star" points and the attributes appear when clicked. If you know of a notable tree that is not mapped, you may complete and submit this form to be reviewed for potential inclusion in the future listing. A PDF of the list of local heritage trees is located here. As part of our efforts to recognize our local notable trees, Trees Knoxville has partnered with Dogwood Arts to highlight these heritage and large trees during the annual Dogwood Arts Festival. 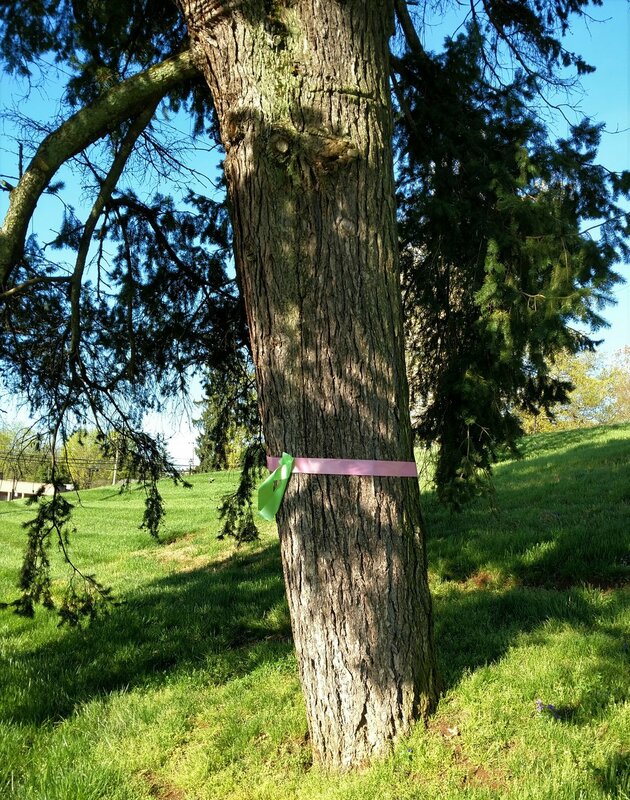 Notable trees will be decorated with a pink and green ribbon so that they are easier to locate during the month of April. To view the University of Tennessee Knoxville campus’ tree inventory, please visit the ArborPro Community Viewer.